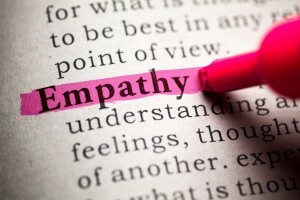 Mandy Peterson, aka “Mystic Mandy” is a psychic visionary, empath and EFT Practitioner. Her life and passion has always been toward being a voice of empowerment. 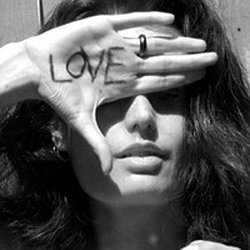 Her desire is to help empower those struggling within themselves and their relationships, as well as to help others understand a bigger picture which includes the collective and our planet. Mandy is an environmental activist and minimalist. She strives to live as environmentally as possibly within her means. 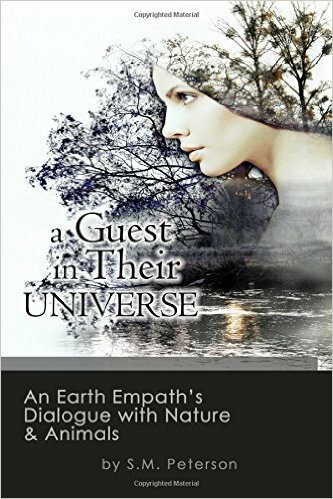 While her book is free to read through website she also offers it at a minimal price through Amazon/Kindle (after cost of printing). As of November 2015 she donates 1$ for every book sold to WeForest.org. 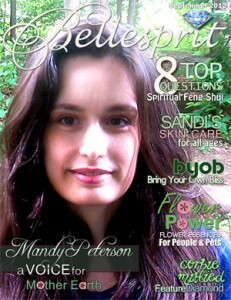 Mandy is a regular columnist for Bellesprit Magazine and Om Times and she’s also been featured in a variety of print and online news including Bellesprit Magazine; Mandy Peterson – A Voice For Mother Earth. In addition to being a guest on radio shows including; Hidden Wisdom Radio, Bellespirit Radio and All Things That Matter; Mandy has hosted her own psychic radio show on CBS Sky Radio called “Voice of Empowerment.” You can view these video programs on Mandy’s YouTube Channel, which has attracted thousands of viewers. 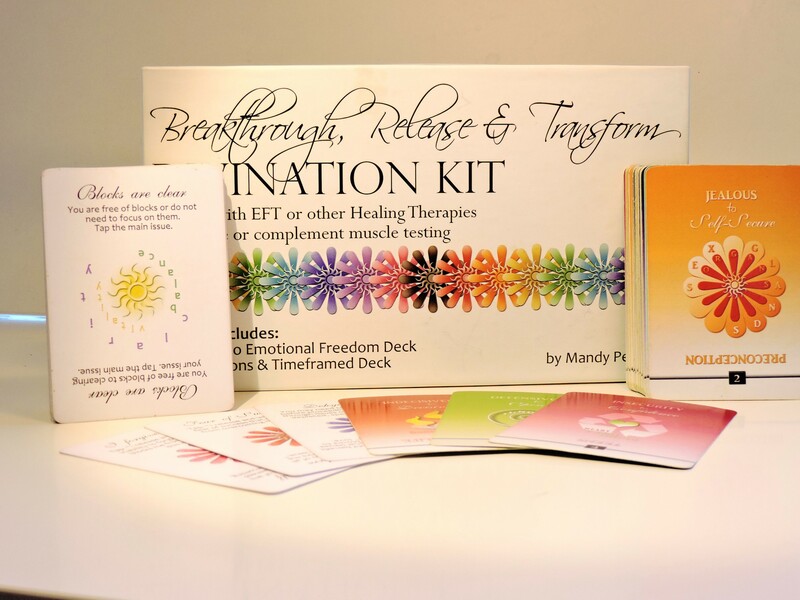 An artist and graphic designer, Mandy also created the EFT Divination & Chakra Deck, also known as the Path to Emotional Freedom Deck, to replace or complement EFT muscle testing. She also designs the covers for Bellesprit and Shesique Magazine, in which she occasionally does volunteer work for them. 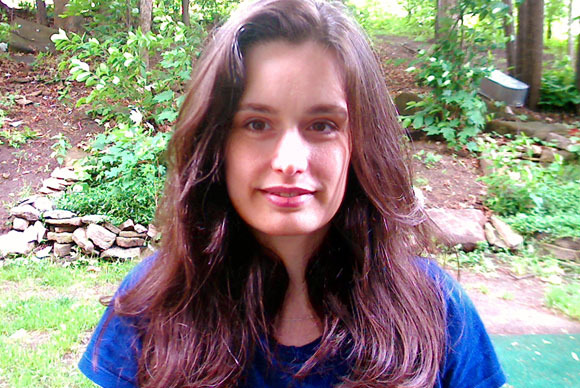 Mandy is an unconventional intuitive and healer focused on personal empowerment. Mandy is vigilant about not allowing her clients to primarily focus on outcomes that can create anxiety and an addiction to them. Instead, she helps others to open the door to see the answers and truth they already have within them. Her passion is to enable others to re-examine their conscious, unconscious and collective beliefs, so they can finally break free from the box of conformity to find peace, abundance, and balance. Mandy uses a unique approach to healing she calls “Karmic Unweaving.” Using an intuitive process that is similar to dream interpretation, she advises others on how to work backwards regarding what they are currently manifesting in their life–in a way that can assist with recognizing and understanding the deeper thoughts and patterns that may have taken root. Mandy uses a unique “Tap-Free” method, so that clients do not have to know all the points or have to tap themselves. 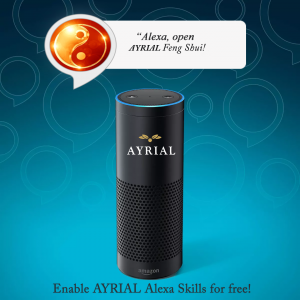 However, she provides an abundance of information for those who do wish to learn EFT, muscle testing or other healing techniques. 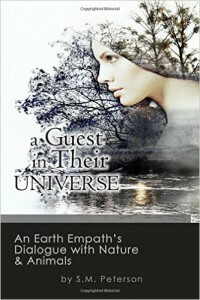 A Guest in Their Universe: An Earth Empath’s Dialogue with Nature and Animals is about the preoccupation with technology, mistreatment of our planet, and a disconnection with simplicity and the ability to live a more natural life are dilemmas that plague our contemporary world and set us on a destructive course. It seems as if there is little promise for humankind if we continue at our present pace. Is there hope? If so, how do we find direction? The book guides readers on a positive, achievable path to reconnecting with our own true spirit and the spirit of all that lives. 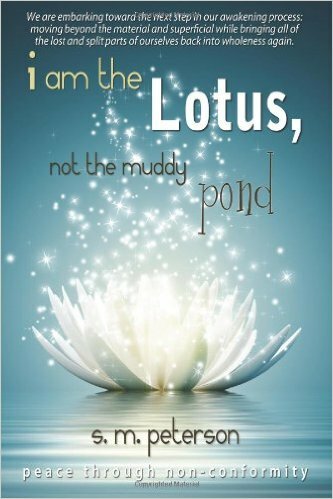 I Am the Lotus, Not the Muddy Pond, is a response to what author Mandy Peterson sees as a philosophical “split” that occurring within the mind and intentions of those who have been part of the New Age movement for the past two decades. Providing numerous examples, she shows us the difficulties that arise when individuals pursue ascension and higher consciousness while being encouraged to remain locked in an unconscious mind-set of materialism that fosters anxiety, paranoia and fear, and which negatively impacts our individual and collective health, happiness and overall well-being. Available on Amazon. 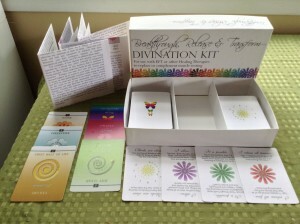 Mandy Peterson’s EFT Divination Kit consists of two decks; a second edition of the EFT Divination Deck and the Emotions and Timelines Deck. These cards are ideal for those who wish to use EFT but who may not feel comfortable with muscle testing, or you may wish to use them in conjunction with muscle testing. They can be used to catch hidden blocks, dehydration and other resistances to resolving an issue. Several of the main blocks have duplicate cards so that a card can be drawn more than once in the case a block has not fully cleared (so if your deck has repeating cards, this is not an accident). Mandy uses state-of-the art technology to publish on-demand that is also environmentally friendly. The card dimensions are 2″ x 3 1/2.” They are strictly words with a simple color object in the center (for determining a chakra to work with, if choosing to use the cards this way). This is to help those who may not be expert intuitives but who want a tool to help them to read in a simpler way. These cards require some knowledge of EFT to use. I have been using Mandy for the past few years to help me work through issues that have put a stronghold on my life. I like Mandy because she doesn’t just offer a reading, she offers assistance/guidance. There were times were I was so low and she was the only soul I reached out to – and she helped. She is amazingly gifted. Add her loving kindness, experience and dedication to help those in need and you have just encountered an angel.